Belgian child actor, writer and film director Ivana Noa has a new cinematic piece to her name: “Interview with a Director.” The recently-launched short documentary film was screened during this year’s Cannes Film Festival in the Short Film Corner category, following the debut at the Chicago International Film Festival CineYouth. The continued success of Noa’s “Interview with a Director” has landed her in the 2016 All American High School Film Festival (AAHSF), a premier destination for many media arts enthusiasts and most high school film directors from around the world. AAHSFF’s mission is to promote, expose and develop upcoming talents, awards, and scholarships among many other prizes are offered to best filmmakers. Noa’s film is scheduled to screen on October 9th, 2016 live at the AMC theater, Times Square, New York City. 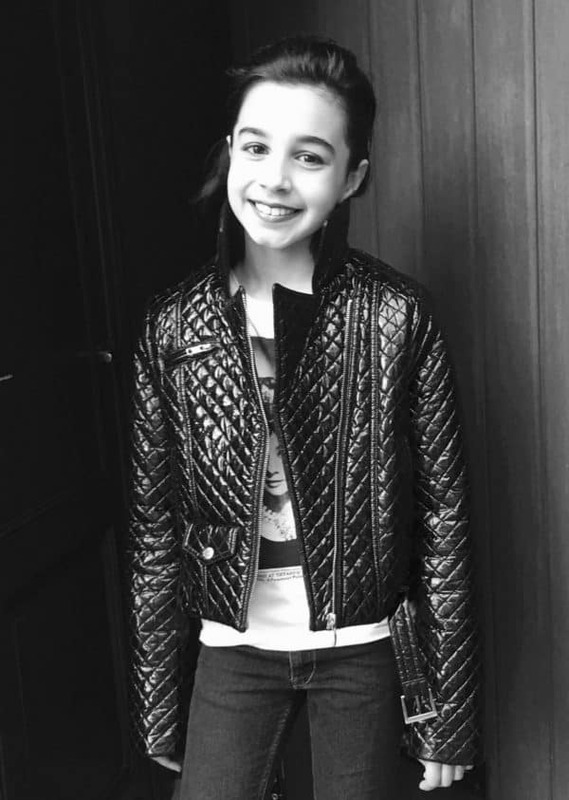 The screening of the film in NYC will be represented by nonother than Ivana’s little sister – Emma Kristin Batchvarov, which (at the age of 9) has written all the original poetry for the film. The dramatic narrative piece will be on the 6th floor in theater 21 as from 12noon, screening loop #54 during the AAHS Film Festival period. The film is also set to screen at the European Short Film Festival (ESFF) from October 1st to 6th in Berlin Germany with a theme of building a shared international cultural experience. In “Interview with a Director,” Noa seeks to portray the brutality of the harsh realities faced by people caught in several modern wars, the kind of suffering they go through, and how they struggle to face their situation head on. In the interview dialogue, Noa combines her distinctive poetry sequences and live art and threads them seamlessly throughout the entire film to fearlessly indulge the viewer in raw human emotion and create the most realistic image in the mind of real people devastated by ravaging war and conflict but who then strengthen themselves enough to pick their shattered selves up from the ruins and strive to find purpose in their lives and succeed. In the film, the Flemish girl director follows the tragic-yet-inspiring story of real-life Iraqi­ Belgian theater director, Mokhallad Rasem, who is played by child actor Said Magomadov in the film. The film throws light on Rasem’s terrific upbringing in a land wrecked to havoc by unending wars and devastating violence, and Noa clearly brings out Rasem’s difficult childhood before the Iraqi goes on to study hard and rise from his ruins. Rather than ignore the catastrophic reality of an innocent kid’s upbringing in a war-torn country, Noa manages to use “Interview with a Director” to portray the positivity of the encouraging story of Rasem’s rise to the top. Noa says that in the creation of the script for her latest film, her main inspiration was her personal feelings about the destructive nature of war and violence for everybody caught up in it, adding that she had also wanted to bring out the individuality and positive impact that war refugees have within their adopted communities. In “Interview with a Director,” Noa uses her distinctive artful lens to produce a significant and prolific short documentary film that tackles difficult subjects like the brutal reality of war and violence. With over five years of experience as a writer and filmmaker, in 2012, Noa’s talent as a writer led her to win accolades at “The Wonder Quill,” a writing contest for Belgian kids that targets young aspiring writers. Barely a year later at the age of 10, Noa made her debut in the film world by writing her first movie script. In 2014 her first short film, “Feeling to Dive & Other Stories” was chosen for screening at several international film festivals and also won the Best Narrative Short Film at the Williamsburg International Film Festival. In 2015, her short film, “Unofficial: Judo” was picked for multiple international film festivals and went on to win three prestigious awards in Atlanta, Williamsburg, and Fort Lauderdale. “Unofficial: Judo,” also earned Noa the Rising Star Award during the Chicago International Film Festival. Noa serves as a jury member at many globally-renowned movie festivals, including the European Youth Film Festival, the Chicago Children Film Festival, as well as the Het Theater Festival.